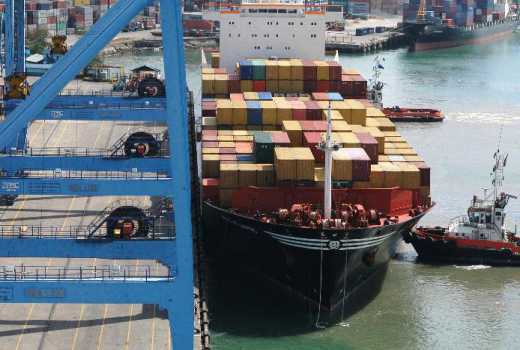 KPA Job Vacancies: Kenya Ports Authority has issued an alarm over 140 job vacancies that are being circulated online. While the state corporation has announced job vacancies, it has clarified that it is not seeking to recruit 140 young Kenyans aged between 18 and 35 years. 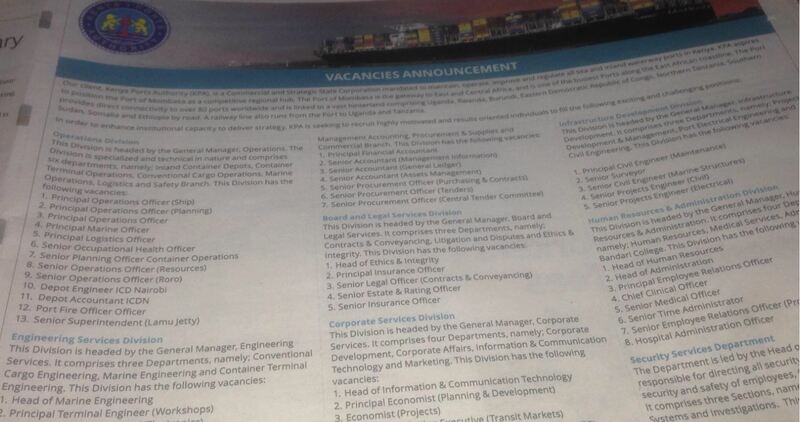 A job advert claiming that KPA is issuing jobs. In the actual job advert by KPA, the body is seeking to recruit workers but has not specified the actual number. In the engineering services division, the corporation has vacancies for head of marine engineering, principal terminal engineer, senior engineer senior mechanical superintendent and senior mechanical handling inspector. 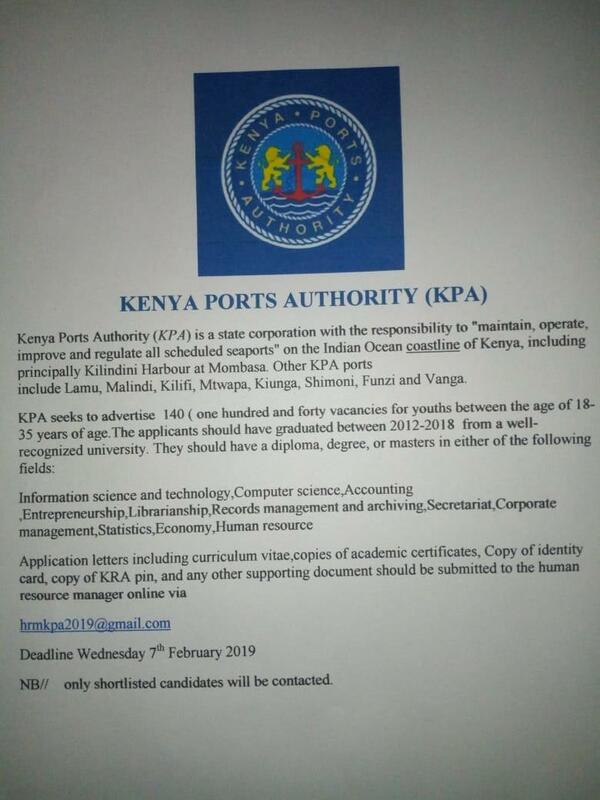 A genuine job advert by the Kenya Ports Authority. Several vacancies are also in the operations division, finance division, corporate services division, board and legal services division, security services department, human resources and administration and the infrastructure development division.